Fish4Dogs are pleased to announce the launch of a new range of luxury calamari treats for dogs. 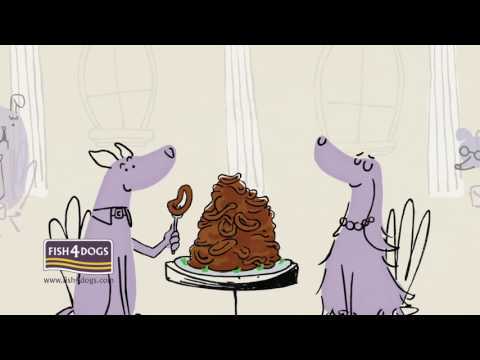 The Fish4Dogs calamari treats bring the wonders of sophisticated fine dining to the canine world. Made from oven baked squid there are 2 products within the range, Calamari Treats and Squid bites. For the dogs, these treats provide a snack with an eye wateringly strong aroma, maximizing their gastronomic pleasure. For the owner a chance to indulge their pets with the joys of fine dining. Fish4Dogs produce a range of food and treats for dogs made from fish. Fish is an ideal food for dogs. Dogs love the taste of fish, in no small part due to the stronger aromas. Just as fish is a healthy food for humans it is also a super food for dogs. Rich in marine sourced Omega 3, it is ideal for healthy, shiny coats and supple joints and a highly digestible protein low in saturated fats and sugars. Fish4Dogs Calamari treats are available to purchase online www.fish4dogs.com and selected posh pet shops.